Mild cognitive impairment (MCI) is a term used to describe the state between normal changes in cognition associated with growing older and dementia. It represents a condition where a person finds themselves in a place where they may be more forgetful or have other cognitive difficulties to a greater degree than a healthy brain. Yet, their changes in cognition are not so great that they can be diagnosed with dementia. Mild cognitive impairment may be characterized by issues like getting lost in a familiar place, forgetting a meeting or a birthday, or repeatedly making the same comments. 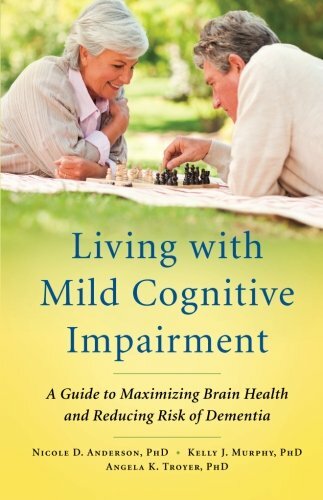 MCI is a blanket term for describing a greater-than-normal impairment in thinking skills. But there are several subtypes of MCI based on the affected area of thinking, such as amnestic mild cognitive impairment. Doctors assess these domains in several ways. They may use the Montreal Cognitive Assessment and/or the Mini-mental Status Examination in addition to other tests to determine what domains are affected and assign a subtype of MCI. Neuropsychological evaluations are also used to measure strengths and weaknesses in the cognitive domains listed above. These results are compared to the results of a person of a similar age who is cognitive healthy. Mild cognitive impairment can be broken down into amnestic and non-amnestic subtypes. Amnestic MCI is the most common form of MCI. It’s is characterized by a serious impairment in memory without the destruction of other domains like attention or language. Non-amnestic MCI leaves the memory intact but one or more domains (listed above) are significantly impaired. Amnestic MCI is often found as a single domain subtype, which means that only one of the cognitive domains (namely memory) is impaired. However, other cognitive domains may also be affected. So far, only a handful of studies have considered the physiological differences in brains affected by amnestic MCI compared to those with non-amnestic MCI. In a study published in 2016, researchers performed MR examinations and detailed neurophysiological examinations on 62 subjects. Some of the subjects had amnestic MCI, others had non-amnestic MCI, and others served as healthy control subjects. The researchers found that patients with amnestic MCI had a smaller hippocampus (which controls memory), entorhinal cortex (controls memory), and amygdala compared to those with non-amnestic MCI and the control group. These differences are an important addition to the field of study because they provide an opportunity for doctors to use imaging and other tests to find an accurate diagnosis for individual patients. It’s difficult to definitively say whether someone with MCI will see their symptoms become stable, improve, or decline and progress towards dementia. Still, there is a greater risk for those diagnosed with MCI to progress to dementia and Alzheimer’s dementia. Several connections have been made between mild cognitive impairment and Alzheimer’s Disease. The National Institute on Aging and the Alzheimer’s Association (NIA-AA) published criteria designed to allow clinicians and researchers to assess the likelihood that a person’s MCI is caused by or related to an underlying pathophysiology of Alzheimer’s Disease. This was an important development because while amnestic MCI and Alzheimer’s Disease saw links in terms of MCI presenting a greater risk for Alzheimer’s Disease, there wasn’t a biological basis drawn up for this link. More importantly, there wasn’t any way for doctors to comment at all on the likelihood of the development of Alzheimer’s Disease in a specific MCI patient. A 2012 study of the NIA-AA criteria revealed that clinicians can rely on the criteria outlined when working in the community. Moreover, doctors can look towards neurodegeneration in addition to high concentrations of amyloid when trying to predict progression in patients. Though, they did find that some of the patients presented conflicting evidence, which could also turn out to be important once it is explored. 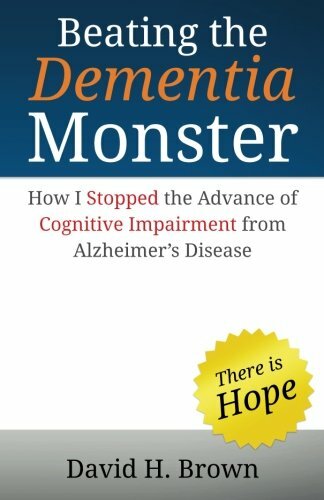 Living with amnestic MCI means learning to cope with impaired memory while often retaining many other cognitive faculties. It is possible to say that this can be frustrating at the very least. Amnestic MCI doesn’t wipe everything from a person’s brain; they retain their general knowledge, intellectual ability, and vocabulary even when symptoms worsen. Moreover, most people with MCI can engage in all their normal daily activities independently. Many people with MCI are still able to work; though, they may find they need support in place such as help from timers to keep track of their schedule. There are no clinically approved treatments available for MCI; though, some dementia or Alzheimer’s Disease medications may slow the degeneration to dementia if a person is likely to progress towards one of those diseases. Instead, people with MCI are encouraged to make changes in their lifestyle to support their overall health. Contributing to the cognitive reserve by doing things like reading, going to classes, exercising and eating a healthy diet may help a person better deal with MCI symptoms. Although doctors can’t definitively say that these things will slow down dementia, there is evidence that they could help maintain a person’s current level of functioning. This is because people who have a larger ‘reserve’ tend to have more connectivity between different parts of the brain and use different regions to complete different tasks. So, while there aren’t ways to clinically reduce the impact of dementia or return to normal cognitive function, diet, exercise, and education may help.